Ask the RD: Juice intake for kids? My pediatrician told me my child is drinking too much juice. He drinks about 4 cups per day and then water if he is still thirsty- never any soda or chocolate milk. I thought we were doing a pretty good job. What do you think? It is great that your child is not drinking any soda or sweetened milk products! But your pediatrician is right, that is too much juice for your little guy. 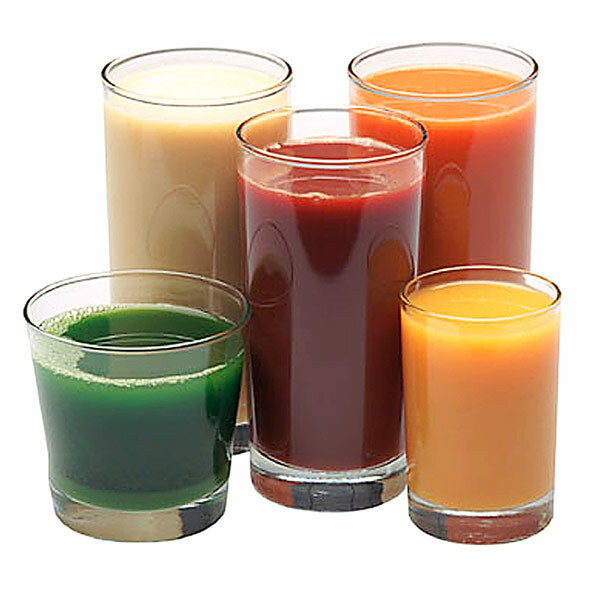 Juice, when compared to soda, is considered a better option because its sweetness comes naturally from fruit, not sugar or high fructose corn syrup which is used to sweeten soda. This is not always the case though with all juices- make sure you are offering your child real fruit juice and don’t be fooled by fruit drinks that contain artificial flavors, colors and sweeteners. 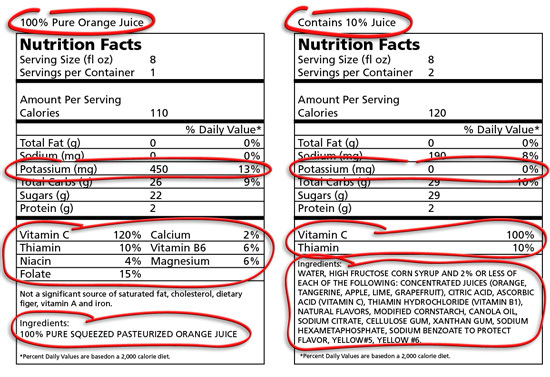 Make sure the label says “100% fruit juice” and that the ingredient list does not contain “sugar” or “high fructose corn syrup”. Even though the sweet properties of 100% juice comes from fruit, it should not always be the drink of choice because juice is high in Calories (containing more or less the same amount of Calories, oz for oz, as soda). High juice intake puts children at higher risk of obesity and damaging teeth, especially when offered from a baby bottle. In addition, oftentimes children who drink too much juice (or other liquids) get filled up on the liquid and then they miss out on nutrients from the food they are not eating. Because of this, the American Academy of Pediatrics recommends limiting juice intake for children up to age 6 to 4-6 ounces per day. For kids over age 7, 8-12 oz or less is recommended and since babies do not benefit from juice they should not be drinking it at all. For children like yours who currently drink more than the recommended amounts, it can be helpful to dilute the juice with water so it is not as high in Calories. If he asks for more juice, encourage him to drink water and eat fruit instead. Think about all the benefits from eating fresh fruit: it takes about 5 minutes to peel and eat an orange which is full or fiber and no artificial ingredients vs. drinking the equivalent amount of Calories of orange juice in 25 seconds from a glass. As always, please let me know if you have any further questions.